Amid the glitz of London's Frieze Art Fair, a four-year-old studies an oversized dice scored with black holes, from which children are intermittently appearing. 'Normally you'd roll a dice,' he tells his mother. 'How am I going to roll this?' 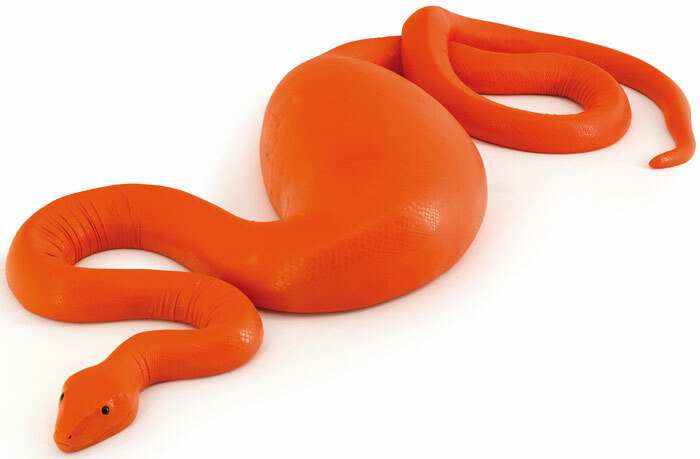 Nearby, a toddler is tugging on a toy octopus's tentacles, the creature's hazel glass eyes uncannily human, while two six-year-olds are rocking a giant mushroom with realistic funghi veins and patination. 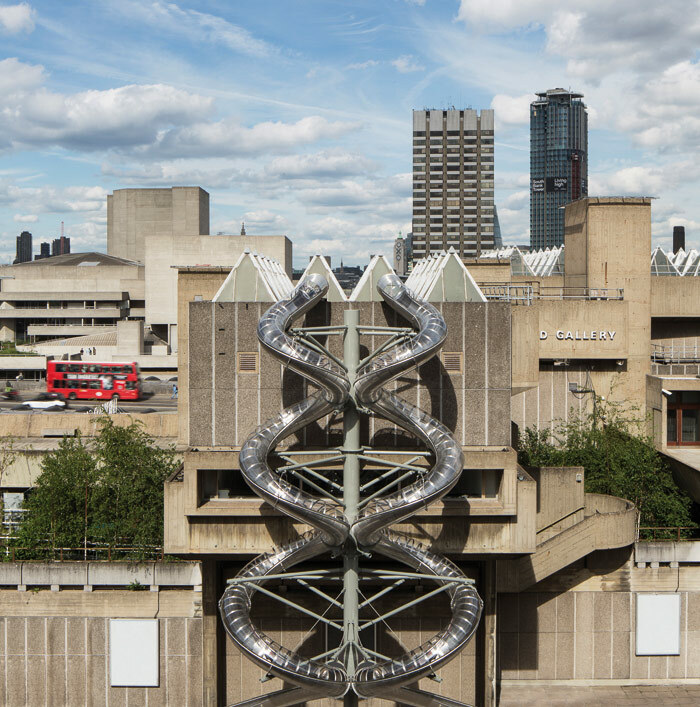 I'm in Gartenkinder (2014), a children's playspace designed by Carsten Höller, the Belgian conceptual artist whose major show - Decision - has just opened at the Hayward in London. 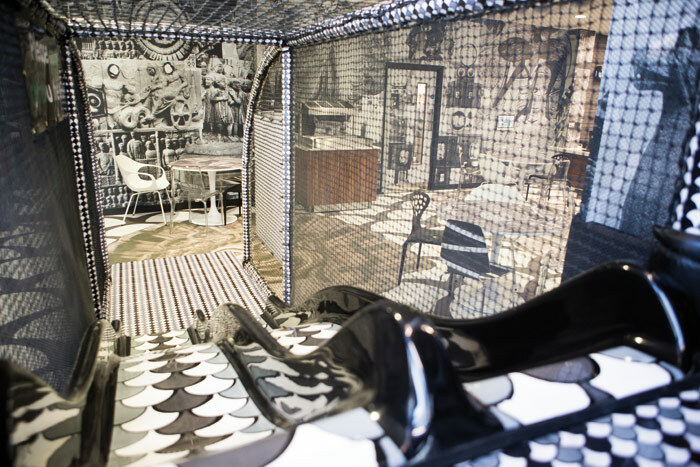 Gartenkinder's title is translated literally as 'garden for children' and this installation for the Gagosian Gallery's stand attracts a steady stream of well-dressed children and accompanying adults, some of whom are clearly hoping to play themselves. Fast forward five months and I'm lying down, staring through a square of Plexiglass built into an Escheresque soft-play space named The Idol (2015), in London's economically deprived borough of Barking. 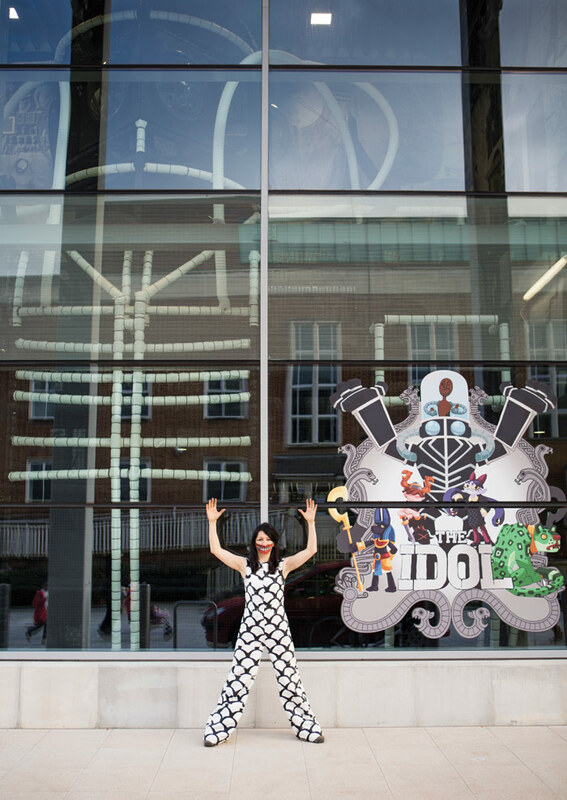 Straddling contemporary art sculpture and functional space, The Idol is the jewel in the crown of the £14m Abbey Sport Centre and is predicted, in its first 10 years, to engage more than 700,000 local young children and families. Designed by Turner Prize-nominated artist Marvin Gaye Chetwynd, acclaimed for her anarchic, playful group performances, the soft-play space has departed from generic primary colours, instead reworked with black-and-white, sci-fi overtones, taking its title from the mythology of an effigy discovered in Dagenham believed to date from around 2250 BC. Raisa, a 10-year-old girl, tells me: 'The see-through bit makes you feel like you're going to fall. But the slide is the best, it gives you an adrenalin rush.' I ask her about the design. 'Some of the pictures up the wall are cool, but a bit scary and odd,' she replies. 'The presence of play in art emerges periodically,' says Ralph Rugoff, director at London's Hayward Gallery, where Höller has a survey show this summer. 'It goes in cycles, and this definitely seems like a moment.' In 2009, the art commissioner Artangel hosted the one-day conference called There's an Artist in the Playground that examined play's connection to adult concerns, which included, in the words of the marketing material: 'responsibility, risk, fun, recovery, politics, inclusion, conflict, environment, belonging, being'. Notable British artists concerned with play include Gary Webb, whose Squeaky Clean (2012) is a permanent playground and interactive public sculpture in Greenwich's Charlton Park, and Turner Prize-winning artist Jeremy Deller, who presented Sacrilege in 2012, a life-size, inflatable, bouncy-castle replica of Stonehenge. Artist Katarzyna Zimna published Time to Play: Action and Interaction in Contemporary Art in 2014, a book that links 20th- and 21st-century art with studies of play, games and leisure, and the theories of Kant, Gadamer and Derrida. Last year's Glasgow International Festival saw Play Summit, a threeday event curated by artist Nils Norman and Assemble, an 18-strong collective working across the fields of art, architecture and design. The remit was to explore the state of play in Scotland and beyond, and the event was attended by Chetwynd, who cited it as inspiration for tendering for the Dagenham soft-play commission. Enshrined under Article 31 in the UN's Universal Declaration of Human Rights, the importance of play is deadly serious, although not always valued. 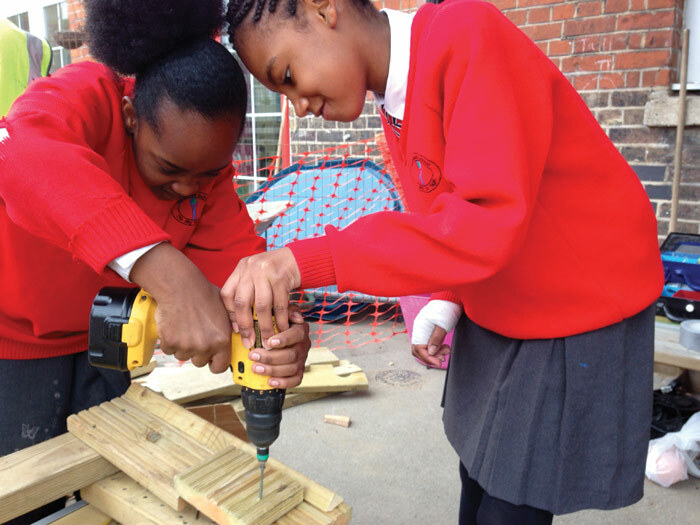 In Britain, as funding has dropped for play provision, the science has surged ahead, showing that quality play stimulates essential brain 'plasticity' and is an essential pathway to cognitive, developmental and physical growth. Where play doesn't occur, brain cells rigidify, in a process referred to as 'synapse elimination', with chronically play-deprived children experiencing mental problems, restrictions in brain growth and depression. The leading theorist on children's play, Bob Hughes, goes one step further, connecting it with the survival skills of our hunter-gatherer ancestors. One of the main reasons for play deprivation, and a clear casualty of modernity, is the drastic reduction of 'roaming' - the extent to which children's play and travel is negotiated autonomously of adults. It has been reduced by fears of traffic, children engaging in risky activity and 'stranger danger'. Into this vacuum, adventure playgrounds, more than any other play spaces, are the unsung heroes, compensating for children's restriction. 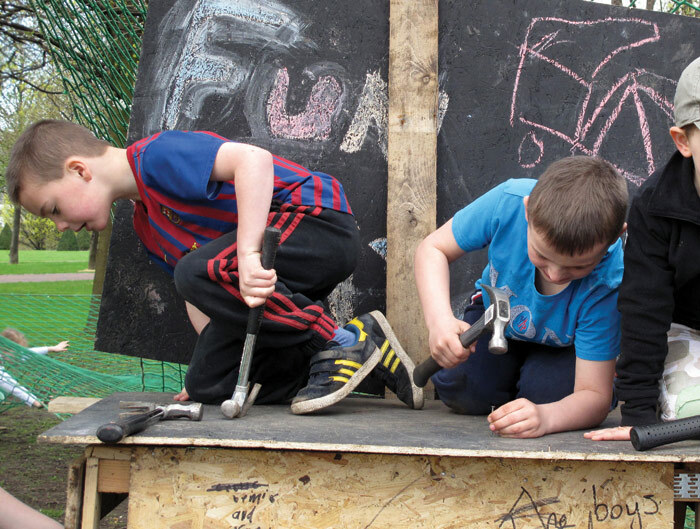 Completely free to access, they provide a range of activities, including opportunities for physical risk, and offer an authentic space to experiment and self-learn. 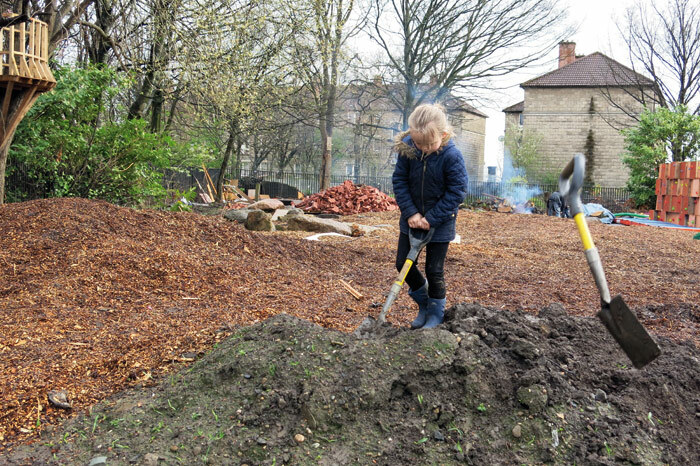 The first was created in Copenhagen in 1943 by landscape architect Carl Theodor Sørensen, and was known as a skrammellegepladsen, meaning 'junk playground'. In England at the time, children were playing on bombsites, building dens and re-playing war, and inadvertently dying because of collapsing walls and unexploded devices. When the English landscape architect and philanthropist Lady Allen of Hurtwood saw the skrammellegepladsen in 1946 during a lecture tour, she realised Britain needed dedicated play spaces. The first UK junk playground (later called adventure playgrounds) opened in 1948 in Camberwell, south London, on the site of a bombed church. 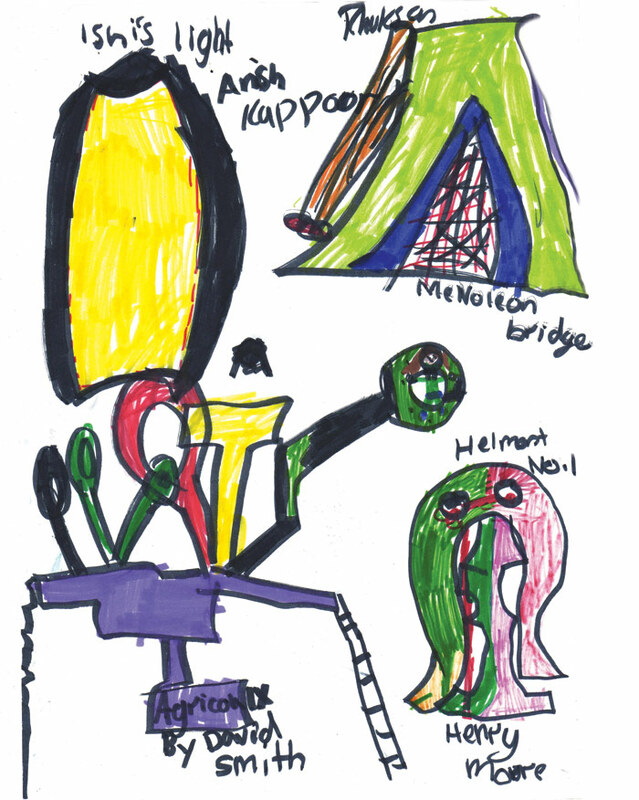 Today, with British councils decreasing funding both for playgrounds and art initiatives, 'utilitarian' arts projects such as Chetwynd's The Idol might offer a new hybrid way forward. 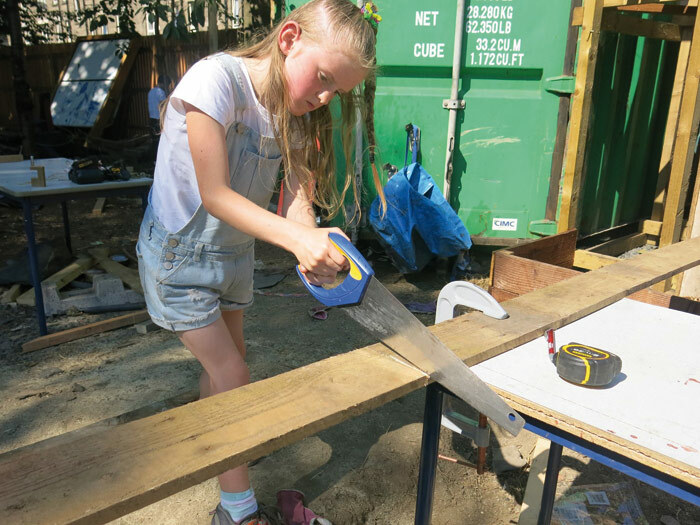 Yet art and play share the same goals, according to Gemma Mudu, co-director of social design enterprise Made From Scratch, which builds play spaces to children's designs. 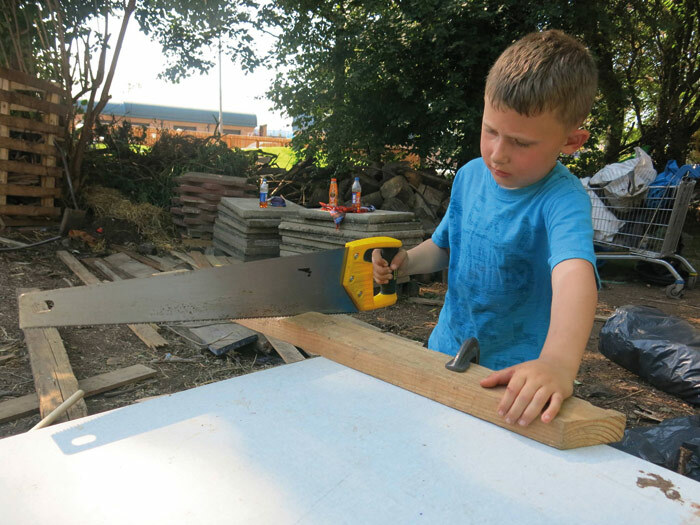 Set up in 2011, Made From Scratch has already built eight different playgrounds and one adventure playground, with seven further builds in the pipeline. Their budgets are small - the average cost for a playground is between £30,000 and £70,000, with smaller playgrounds costing £15,000. 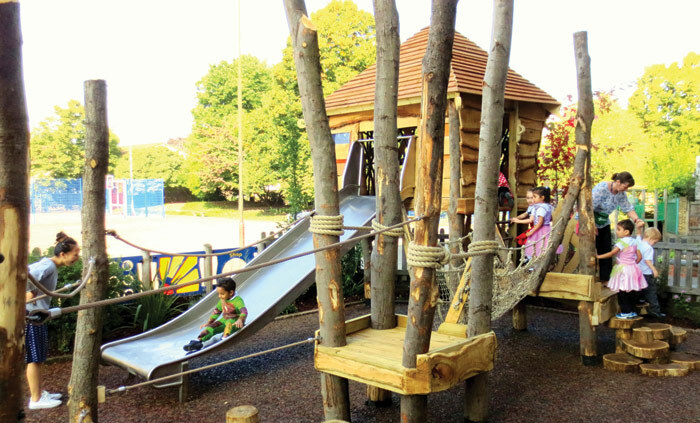 'We invite kids to take inspiration from landscapes, art galleries, paintings, sculptures and immersive spaces so that they're not just thinking about the conventional format of play structures,' says Longtale. 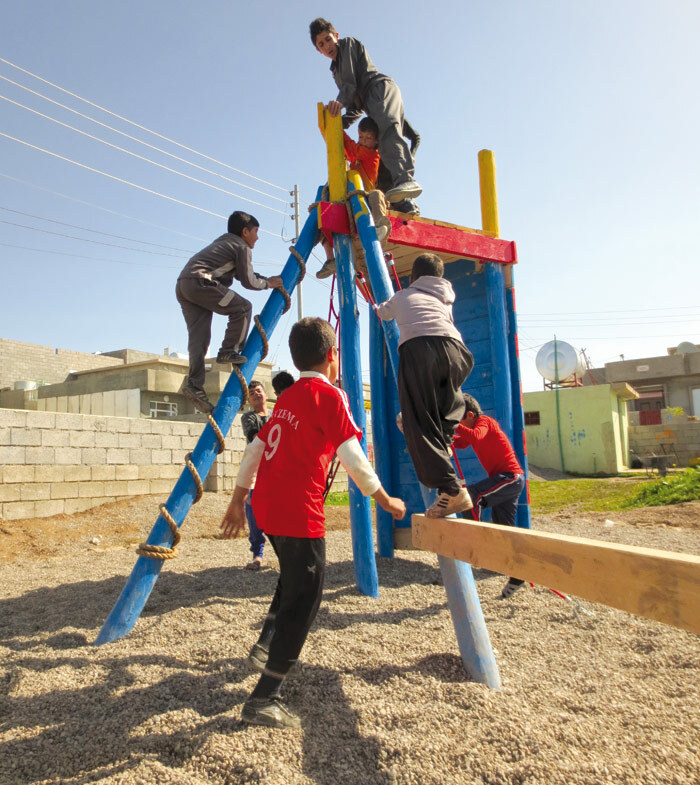 'A special project is Made from Scratch's work on Iraq's first adventure playground in the Kurdish town of Halabja. Architect and Assemble member Amica Dall explains what attracted the group to this territory. 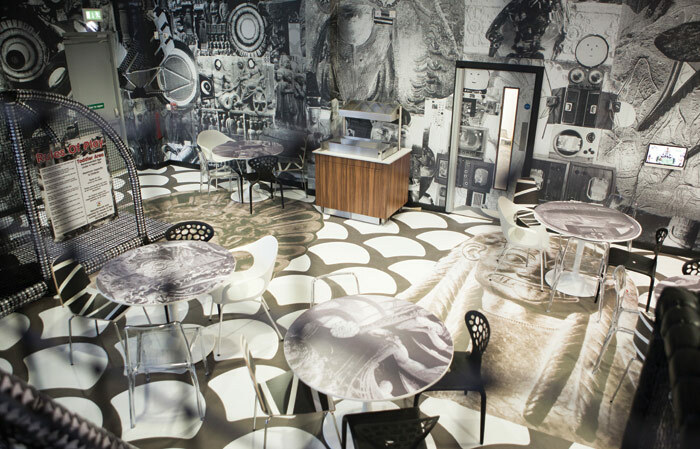 'We've always been very aware of the limits of what you can do with design, and of how much design is asked to do that isn't necessarily in the realm of design with a capital 'D'. I would argue for a more expanded notion of design. For example, systems have to be designed, organisations have to be designed, arguments have to be designed. These things add up to make situations and environments that are not just physical. In many design situations, all the critical decisions have already been made by the time the architect gets involved. Doing self-initiated work is a way to be part of more stages of the process. 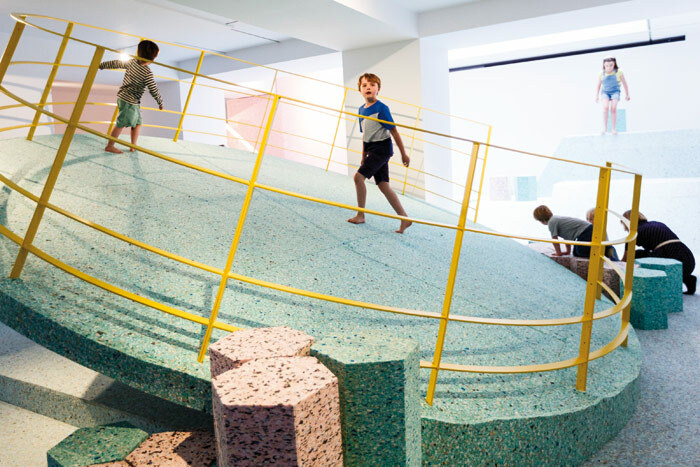 Assemble's interest in play has also led it to collaborate with artist Simon Terrill on The Brutalist Playground, at London's RIBA this summer which recreates in foam the concrete playgrounds designed for post-war housing blocks.